[ARCHIVED THREAD] - No Elevation Knob? Alright, so, as you can tell by my join date, I've been around for quite a while. I actually was reading for a few years even before I decided to join the forums but never posted. That being said, I've decided to become somewhat active in the online world lol. I've had quite a bit of experience with the AR15/M16 platform having been a PMI in the USMC and currently being an instructor for a local tactical weapons company. In all my years I've never seen this particular configuration and frankly, it's bugging the hell out of me! I bought a Bushmaster XM15-ES2 recently (we bought several and resold all but a couple of them) and below is a picture of the rear sight aperture/carry handle minus elevation knob. Is there a trick to this, is there actually a hidden way to adjust elevation or will it always be necessary to adjust FSP (not preferable at all) and/or just aim high when using iron sites at distances >100-200m ? Even the literature that came with the rifle from Bushmaster details a weapon with an elevation knob lol, there are no pictures or explanations as to why it is like it is. 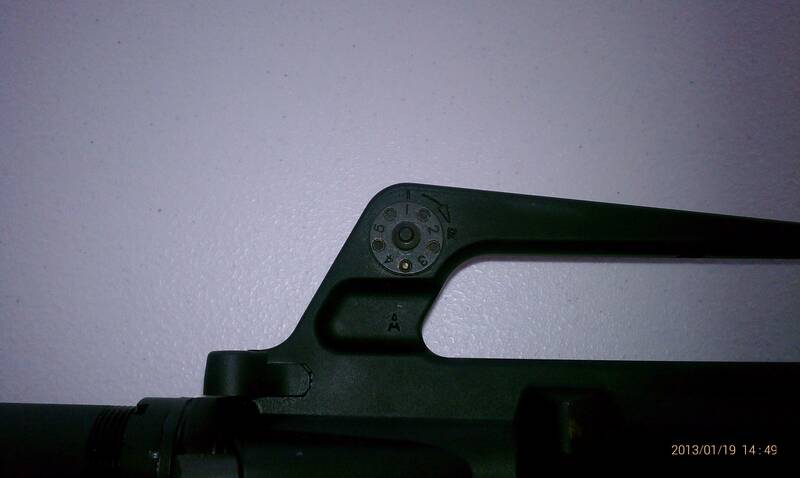 It's an M16A1 rear sight. That's how they came originally. You adjust the front sight post for elevation and the rear for windage. 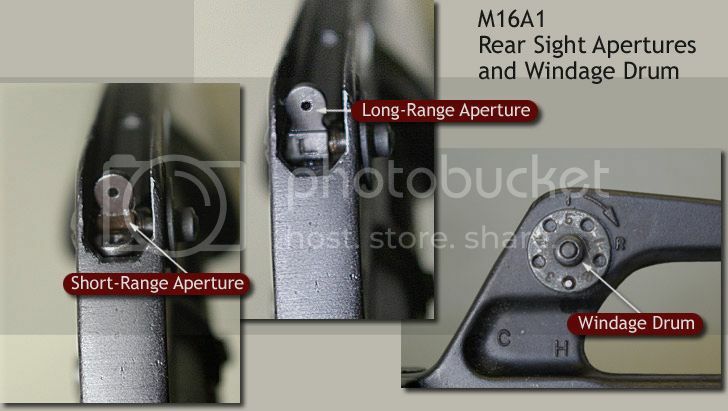 Most, if not all, back up iron sights are A1 configuration. They work just fine. I prefer them over A2 sights. FREEDOM: other people doing what you don’t like. Yup, zero by adjusting the front sight post. If you really hate it buy a different upper receiver and swap over the barrel assembly. Thanks for the info guys, hate to sound like an idiot but appreciate the knowledge!